Cecilia T. Miller, 89, of Pataskala, passed away on Sept. 4, 2018 at 7:30 p.m. at Pataskala Oaks Care Center. She was born February 8, 1929 in Lima, Ohio to the late William A. & Mary Ann (Eischen) Hoehn. She was a 1947 graduate of St John’s. On November 6, 1948 she married Paul E. Miller, who preceded her in death on January 28, 2005. Cecilia worked at City Loan and Savings before becoming a housewife and mother. 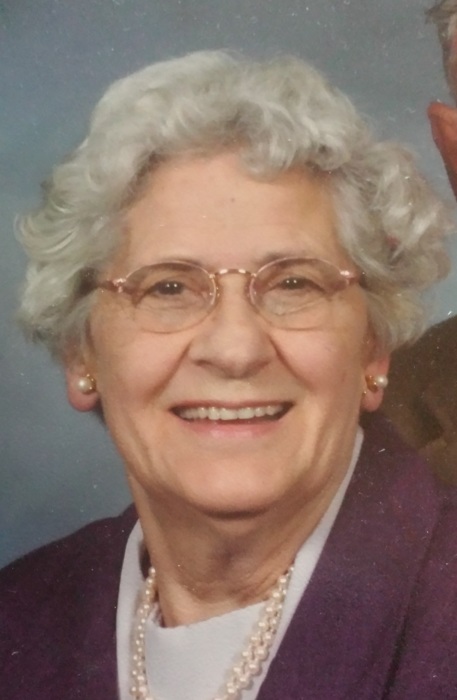 She was a longtime member of St. Rose Parish and sang in the choir. She was an excellent seamstress, loved camping with her family and travelling to Bryce Canyon NP. Her kind, gentle nature and loving spirit will be missed! She is survived by a son, Mark (Connie) Miller, daughters Kathleen (Fred) Grimes, Barbara (Bill) Wallace, Paula (Matt) Dillon, brother Dr. Bill Hoehn, grandchildren Scott Grimes, Michele Grimes, Aaron Wallace, Brett Wallace, Matthew Riley, Stacia Riley, Megan Ginn, Eric Miller, Kevin Bassett, Dale Bassett, Nicholas Dillion, Jennifer Dillon, and Lindsay Dillon, 11 great-grandchildren. She was preceded in death by daughters Maureen Riley and Janet (Larry) Bassett, brothers Elmer & Vincent Hoehn, and sisters Rita Miller, Margaret Barber, and Gertrude Bame. Funeral service will begin on Friday, September 7, 2018 at 11:00 a.m. at Chamberlain-Huckeriede Funeral Home, Lima, OH. Father Mike Sergei will officiate. Friends may visit one hour prior to service. Burial will follow service at Gethsemani Cemetery, Lima, OH.